2014_Pulitzer_Becherer_002: Global News Events: Global News Portfolio: New Orleans based Photojournalist covering the Deep South and beyond. GAZA CITY, GAZA STRIP. 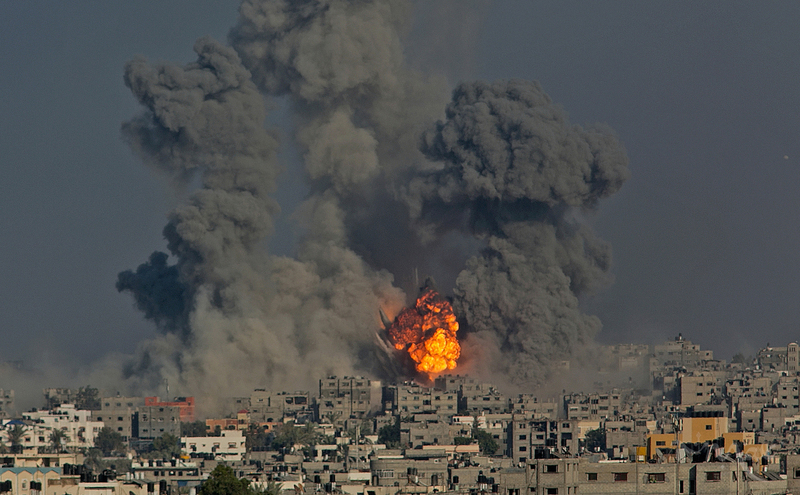 Explosions caused by Israeli airstrikes erupt in the Jabal al-Rayyes neighborhood of Gaza City in the Gaza Strip on July 29, 2014. Israel said they were targeting 32 tunnels dug to allow Hamas militants to go under the border fence and infiltrate Israel.